Dmae presents an in-depth conversation with Kevin Jones, artistic director of The August Wilson Red Door Project about the world premiere of Cop Out: Beyond Black, White & Blue. 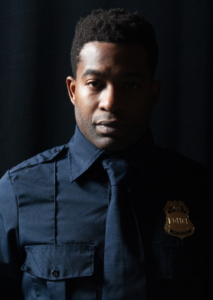 After their successful tour of Hands Up about racial profiling of African Americans by police that was performed before 12,000 people, Jones decided to create a follow up show from the perspective of law enforcement. This was no easy task because of deep divides between communities of color and police. Jones tells us how he commissioned and worked with 21 writers to develop the final monologue pieces that will premiere November 30th and December 1st at 7:30pm and December 2nd at 2:00pm. The Red Door Project has been developing Cop Out for more than a year. The play is a series of monologues based on interviews with law enforcement. 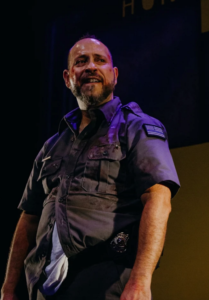 Written by writers from across the country, the monologues depict cops of all ranks and experience as they interact with the community, each other, their families, and the institutions they represent. Cop Out is meant to provoke conversation on a topic many of us care deeply about, on a deeper level than most of us are used to reaching. Cop Out playwrights are stage and screen writers from across the country. 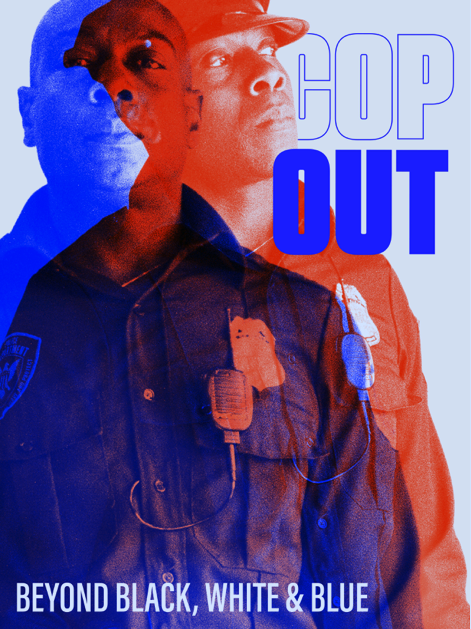 Cop Out features monologues by Shepsu Aakhu, J. Nicole Brooks, Bonnie Ratner, Harrison David Rivers, and Andrea Stolowitz. Featured actors are Joseph Gibson, Andrea White, Christopher Hirsh, Victoria Alvarez-Chacon, Bryant Bently,Joseph Peréz Bertót and Julana Torres. 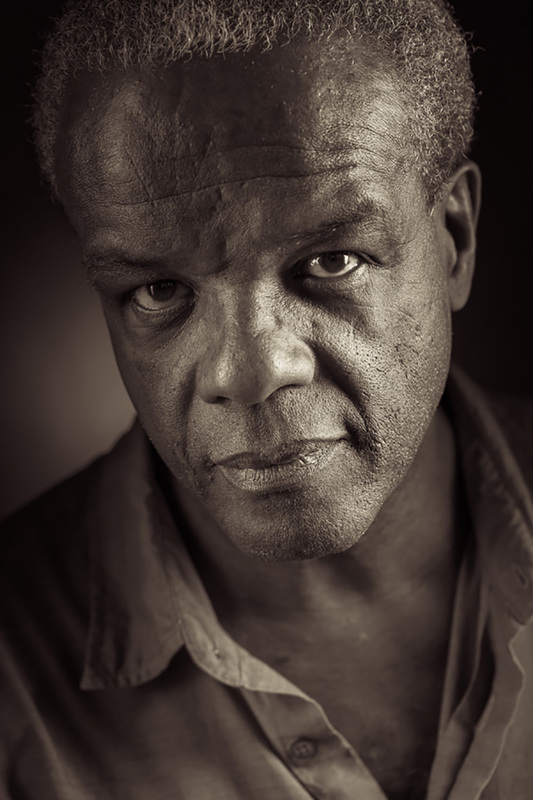 KEVIN JONES (DIRECTOR): Kevin is the CEO and co-founder of The August Wilson Red Door Project, a non-profit that uses art to change the racial ecology of Portland. The Red Door Project has been the recipient of Portland Monthly’s best new nonprofit award and the Regional Arts and Culture Council’s Juice Award for innovation. In 2017 the Red Door was recognized as the Organization of the Year by the City of Portland. In 2016, The Red Door Project produced The New Black Fest’s Hands Up: 7 Playwrights, 7 Testaments, a collection of monologues exploring black people’s reactions to racial profiling. These performances are followed by professionally facilitated conversations designed to evoke new thinking on this topic. Hands Up was presented to over 10,000 people in the last two years. Their work with Hands Up has led the Red Door to partner with the Portland Police Bureau where they are working closely with the Training Division. Kevin is an award-winning actor and director with over 30 years’ experience in regional theaters throughout the US and abroad.